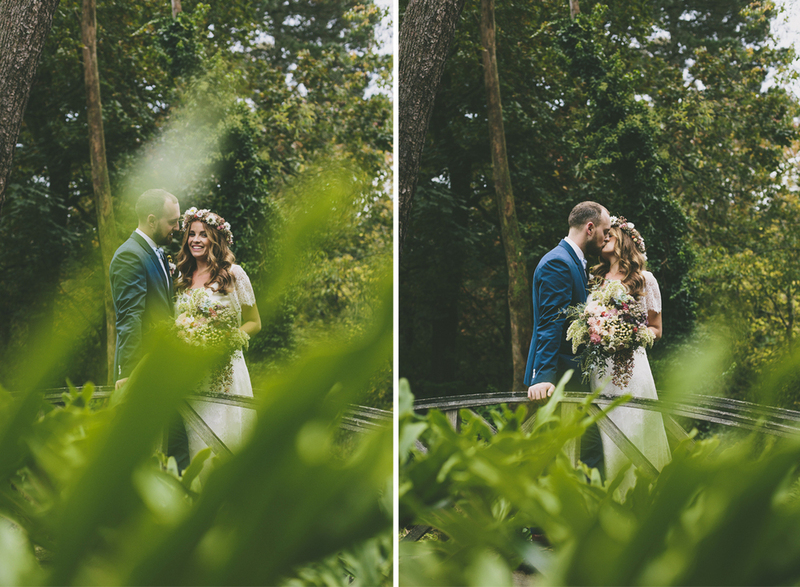 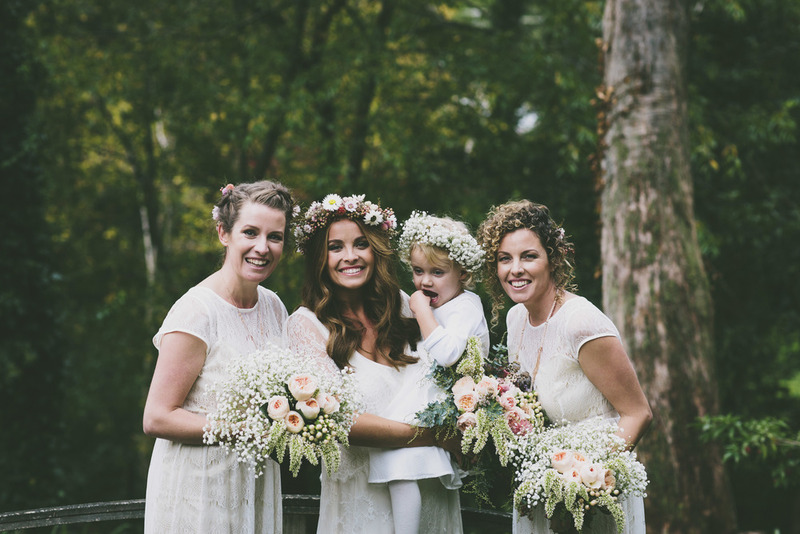 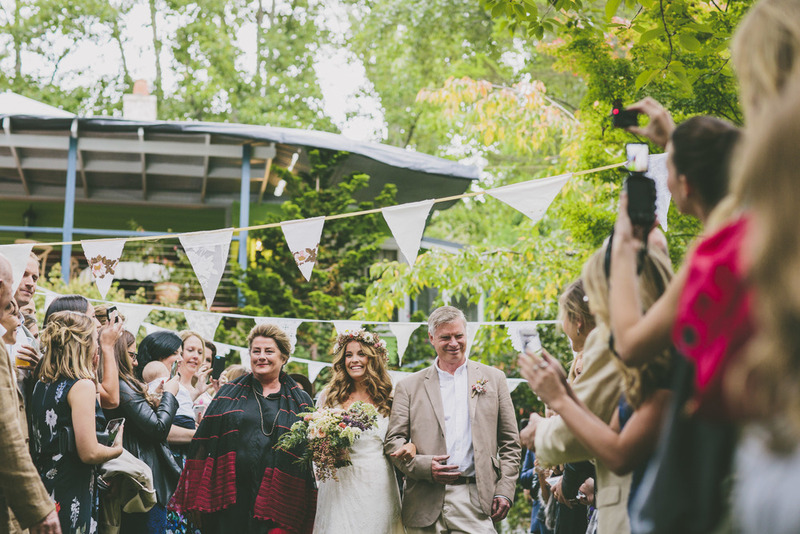 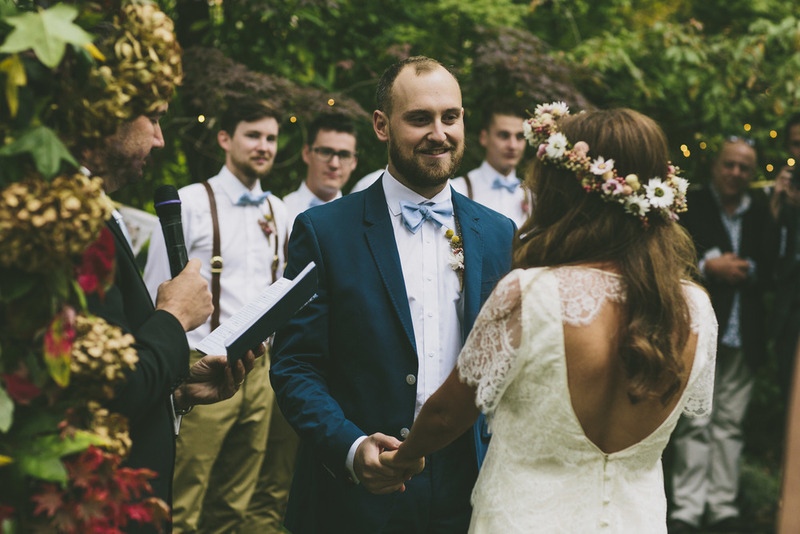 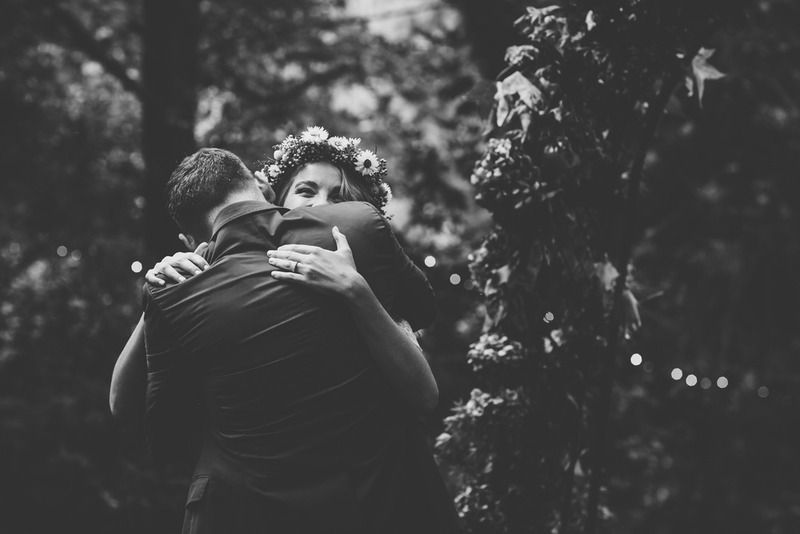 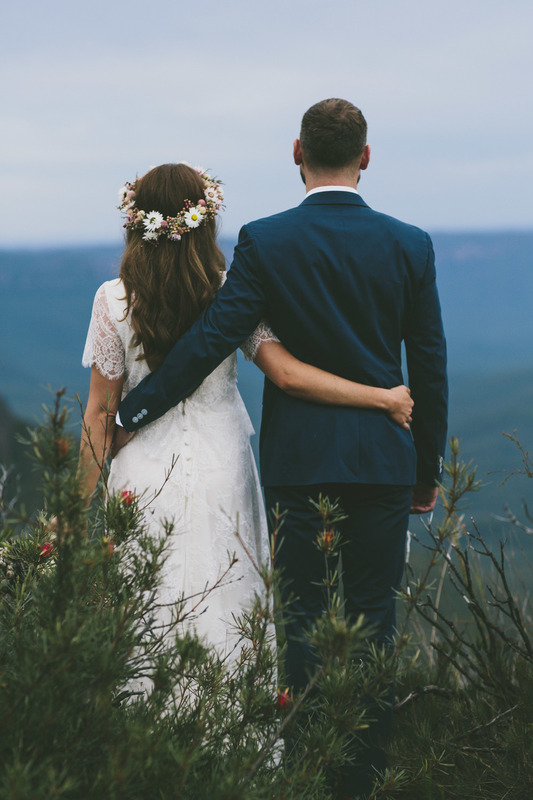 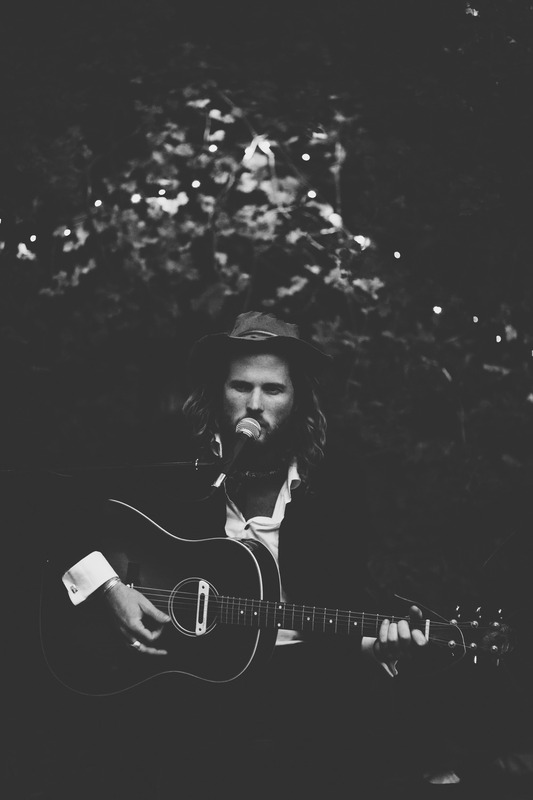 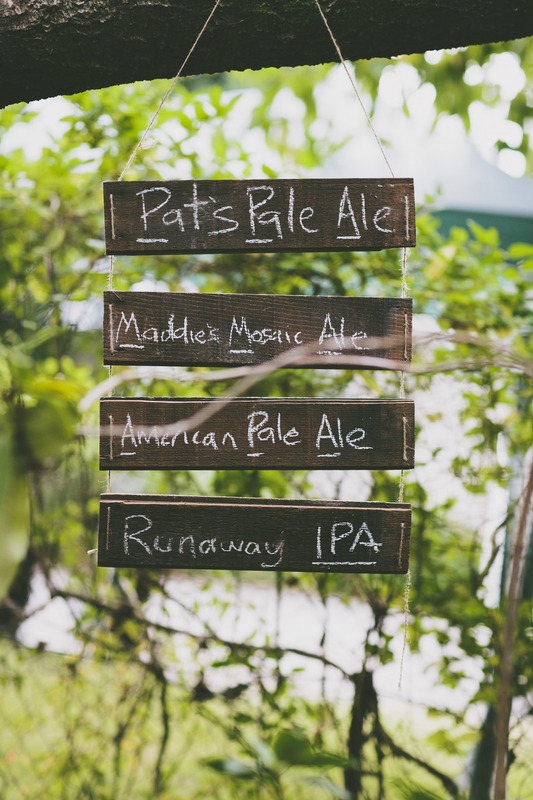 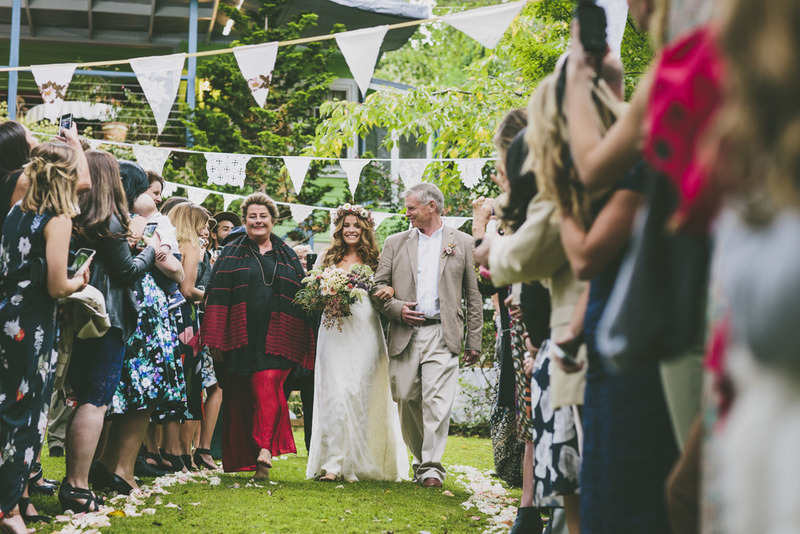 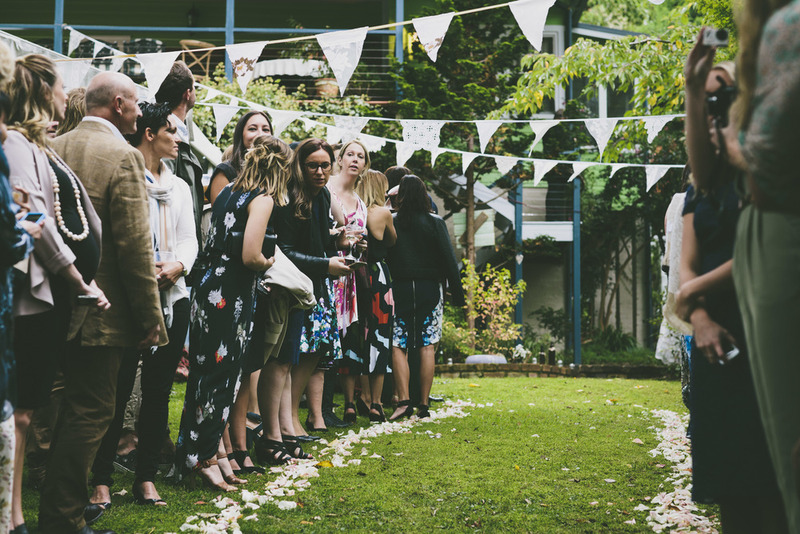 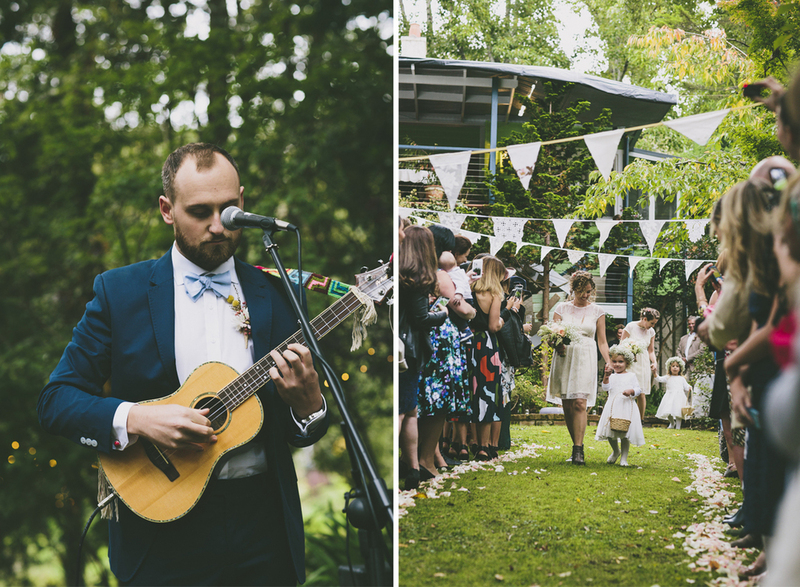 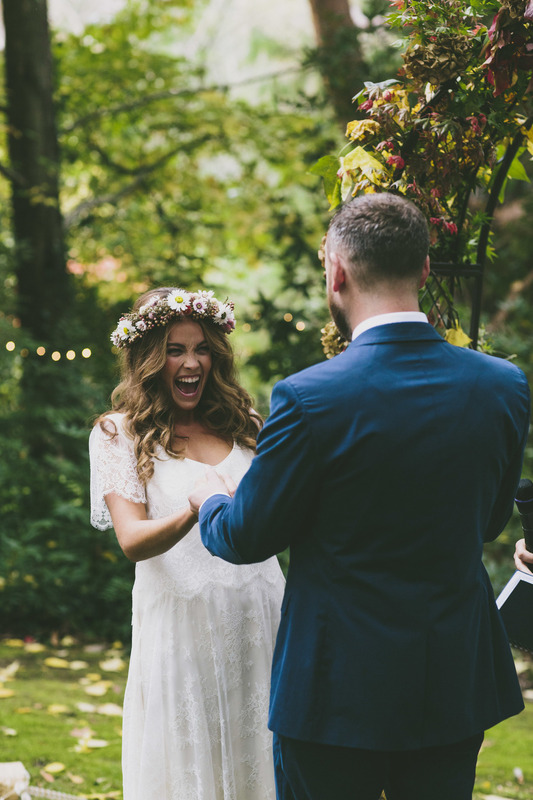 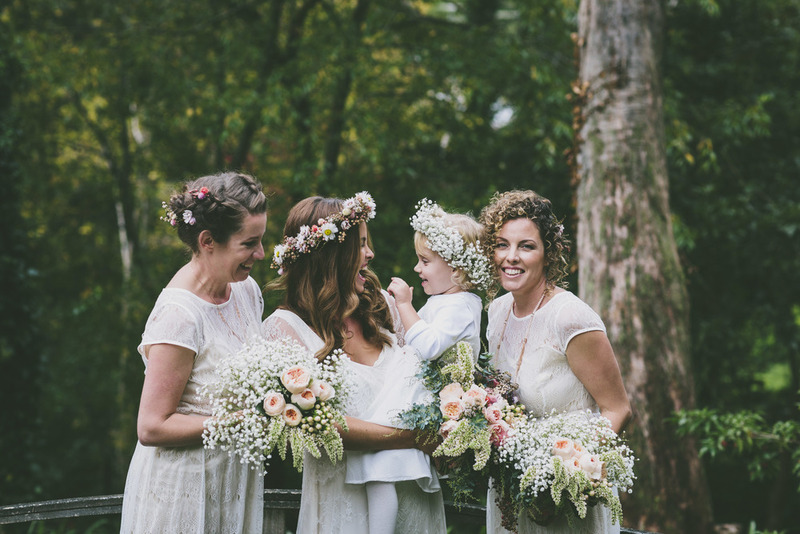 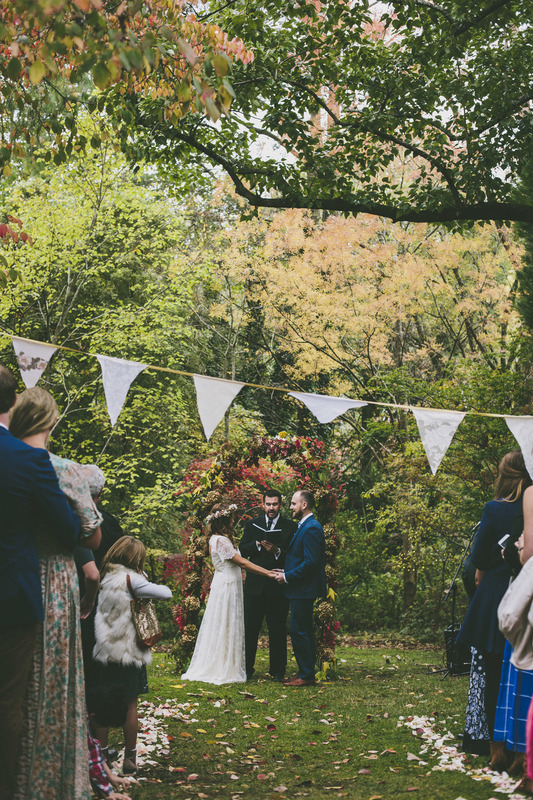 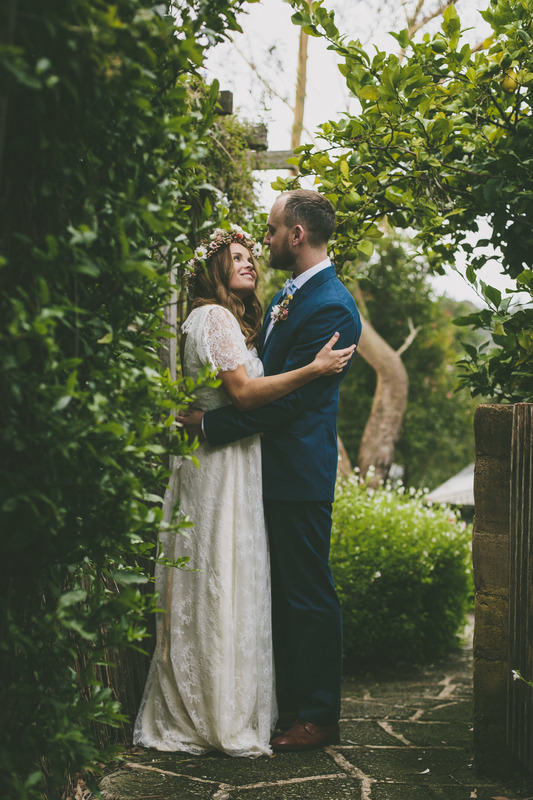 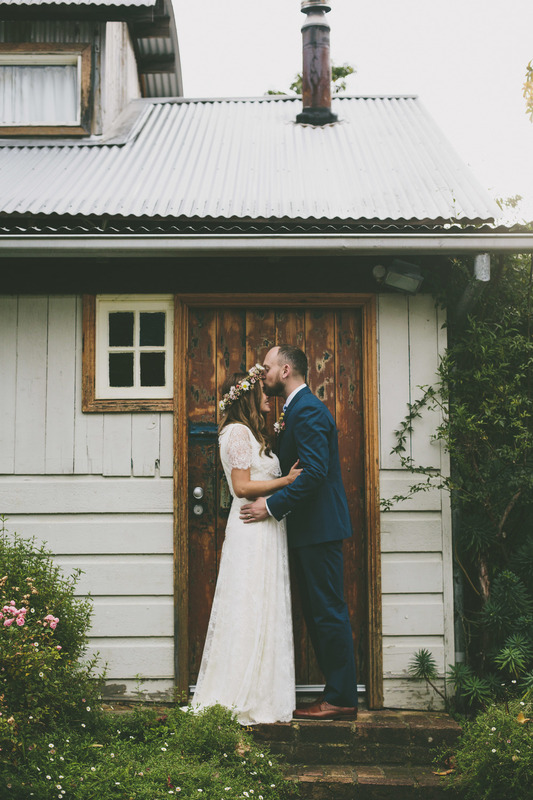 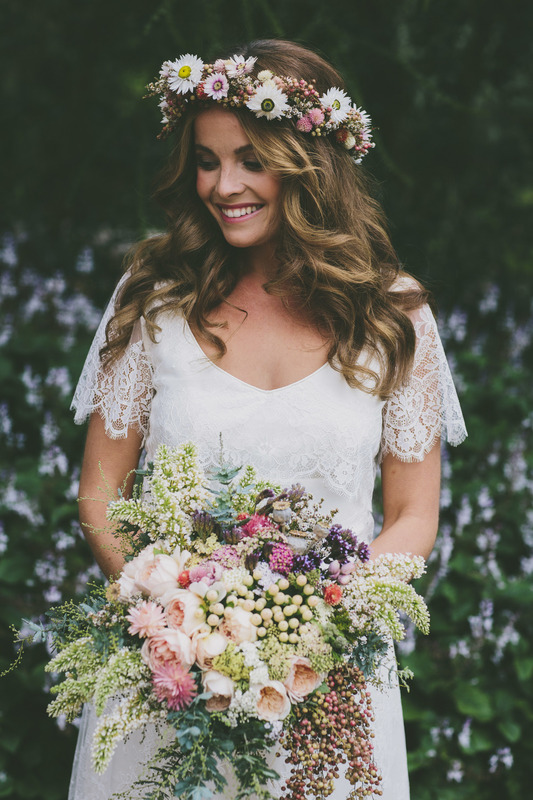 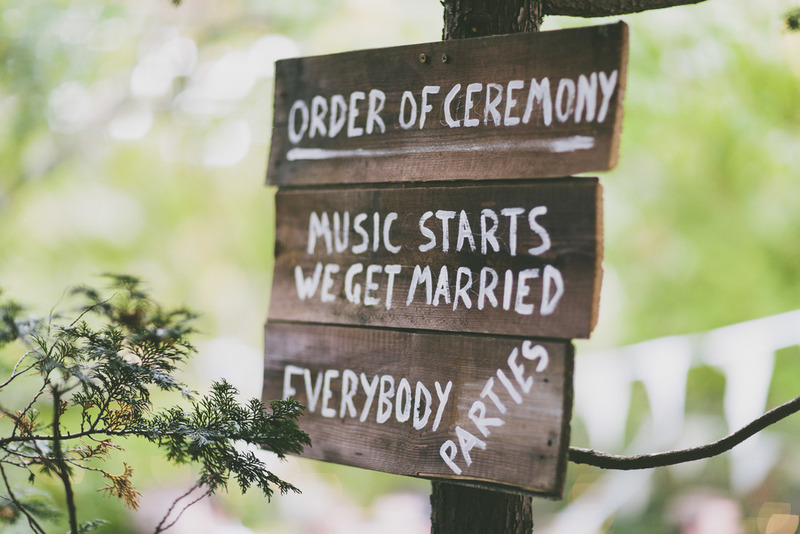 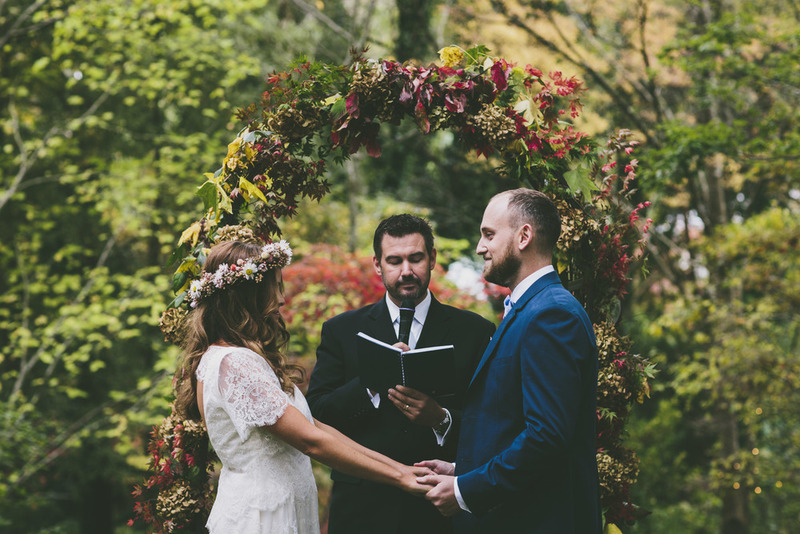 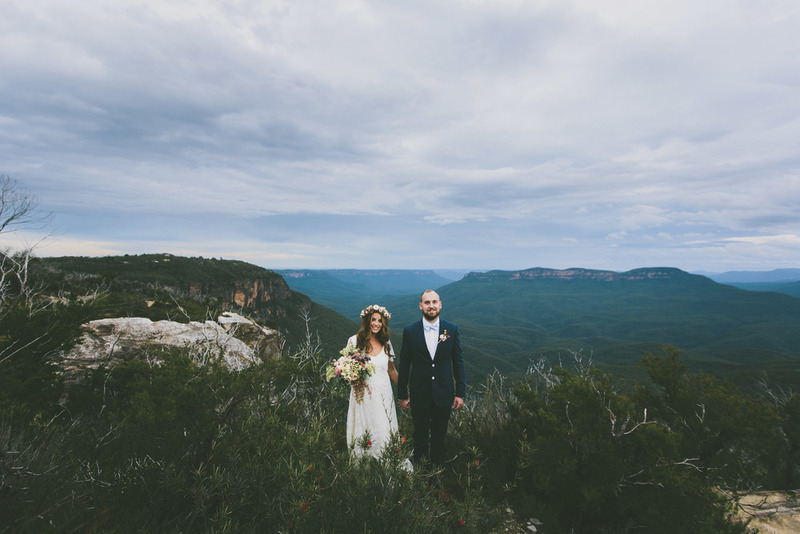 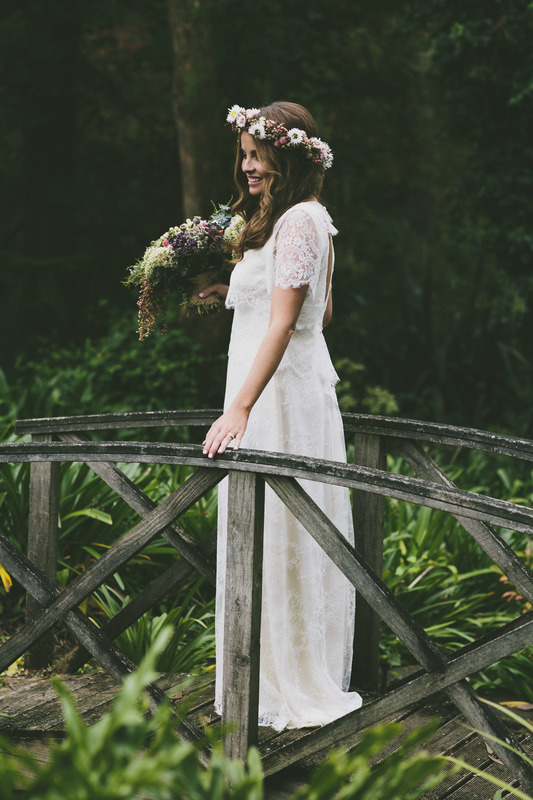 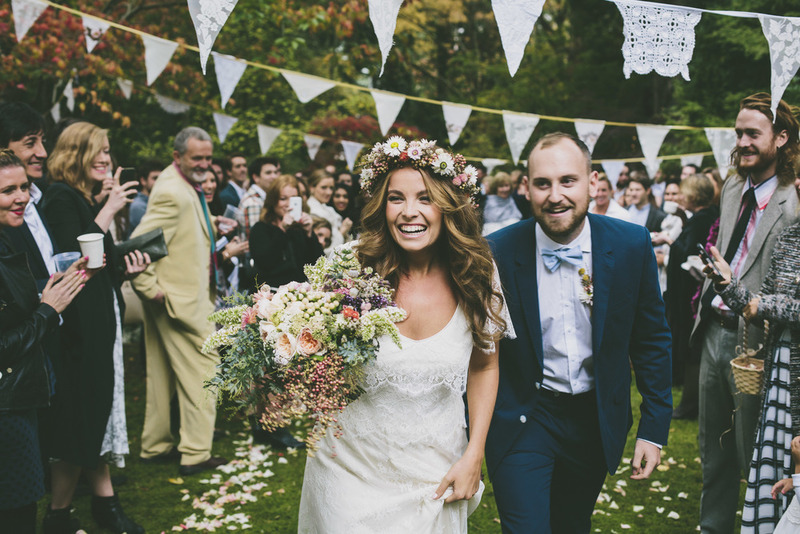 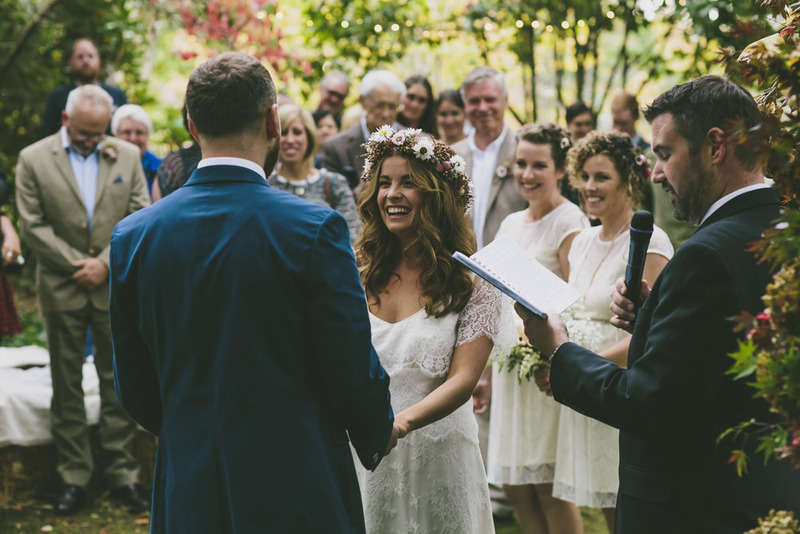 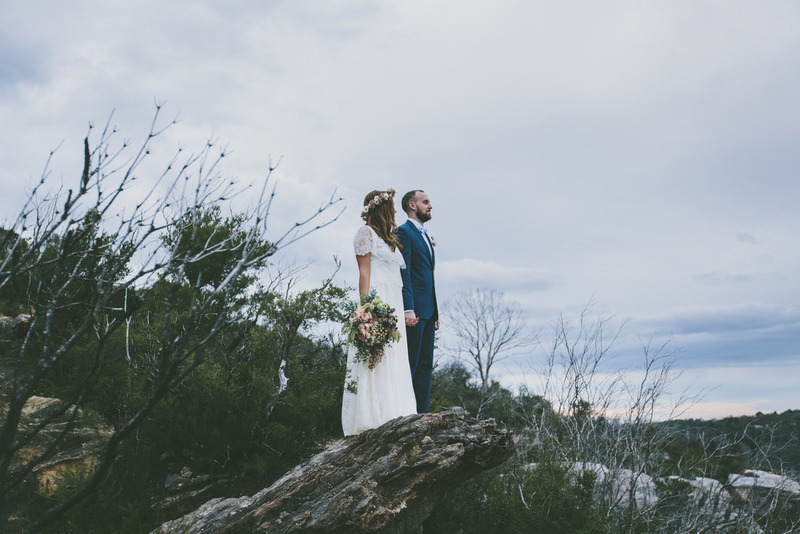 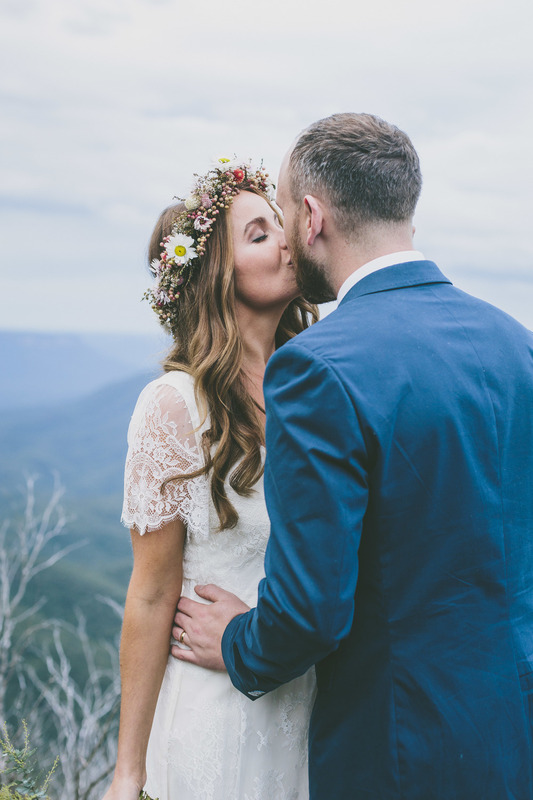 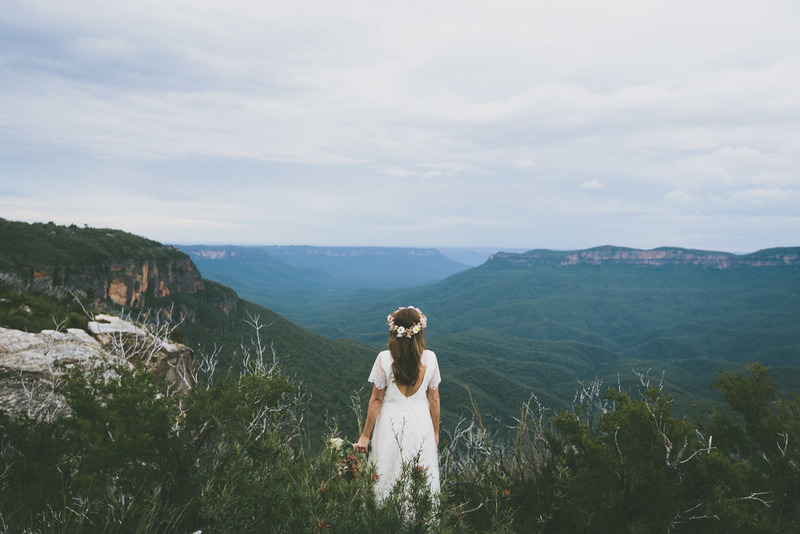 But this Blue Mountains backyard wedding is definitely up there. 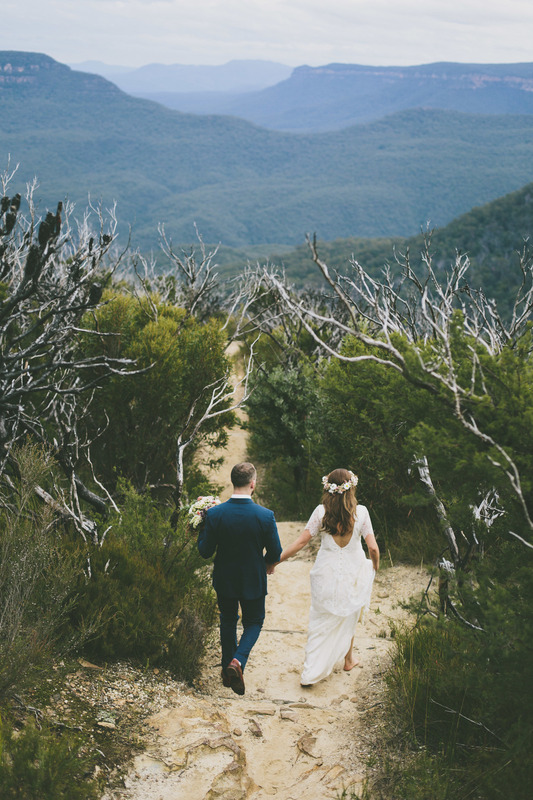 From the moment I met Maddy and Pat, I knew we were going to have one spectacular day in the mountains. 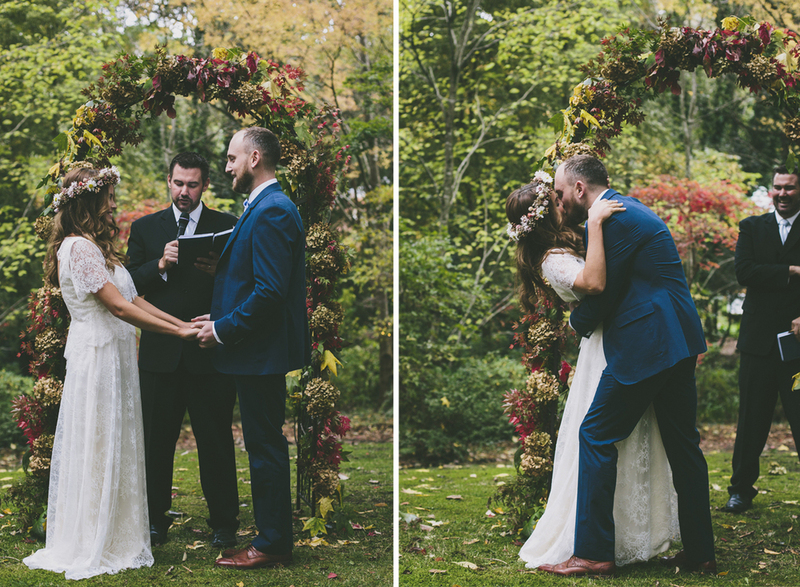 Let me tell you, it was better than I thought. 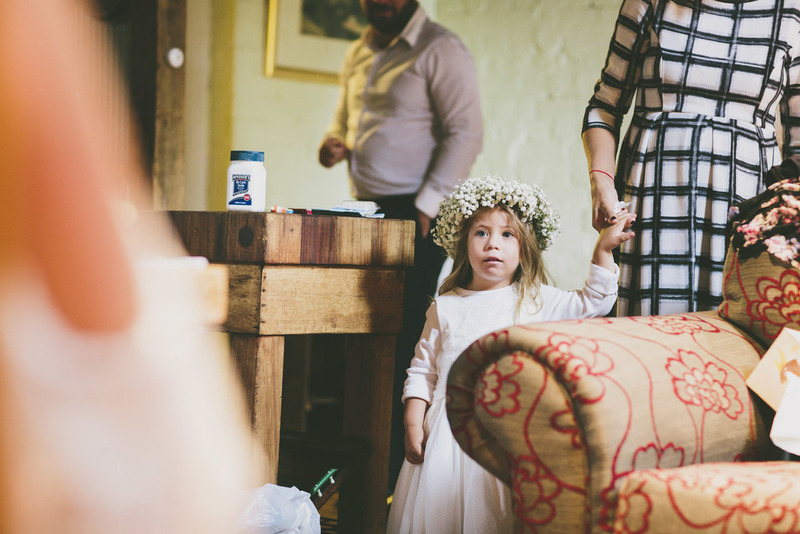 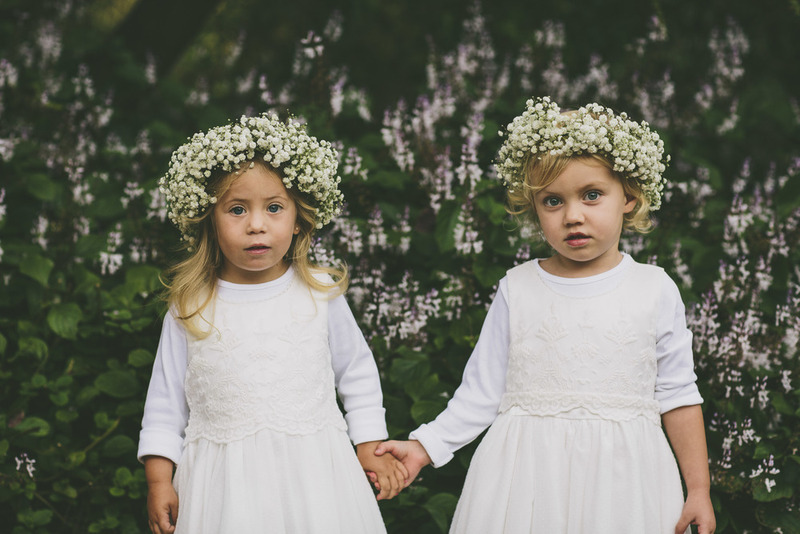 Home made flowers, a custom made dress, backyard ceremony, a ukulele, adorable flower girls, home brew, hay bails, spectacular views, co-operating weather and so much more. 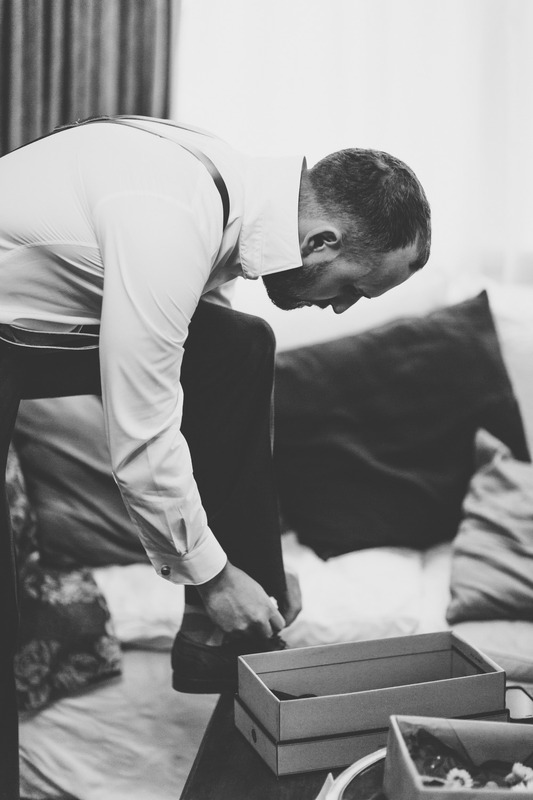 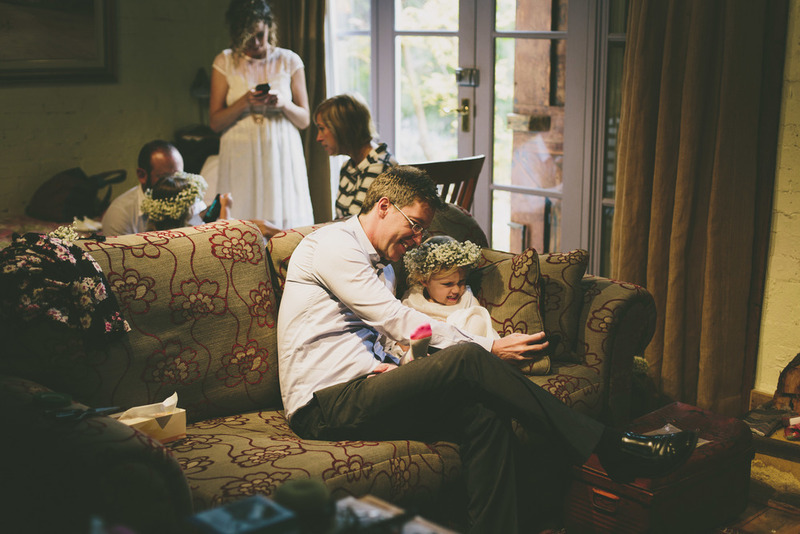 I was left with a rather big smile on my face and rather full memory cards. 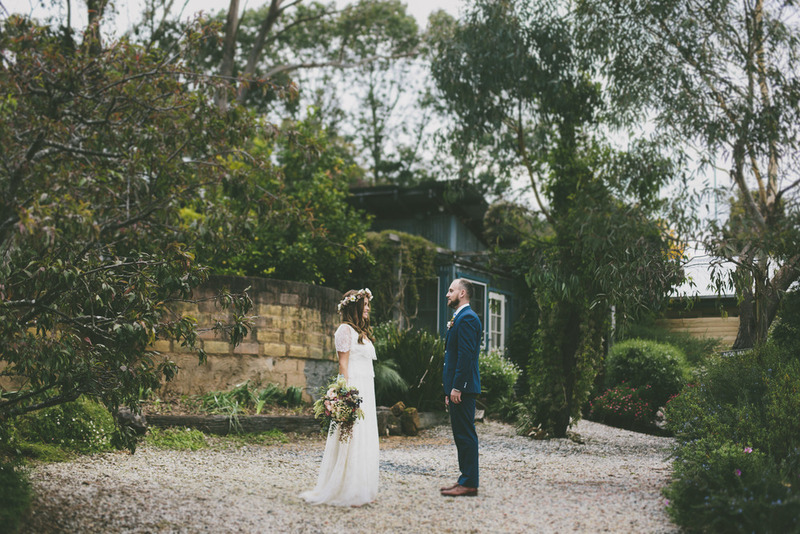 We ventured through Pats greenery filled backyard to the old Leura Dairy and then to an incredible lookout (Look closely on the right hand side of some of the shots to see the back of the three sisters) all to make it back home, light some fires and wait for the dancing. 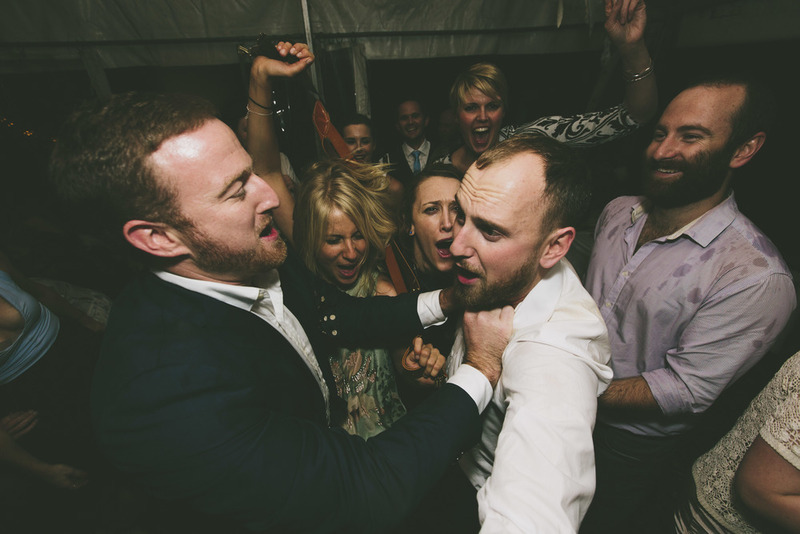 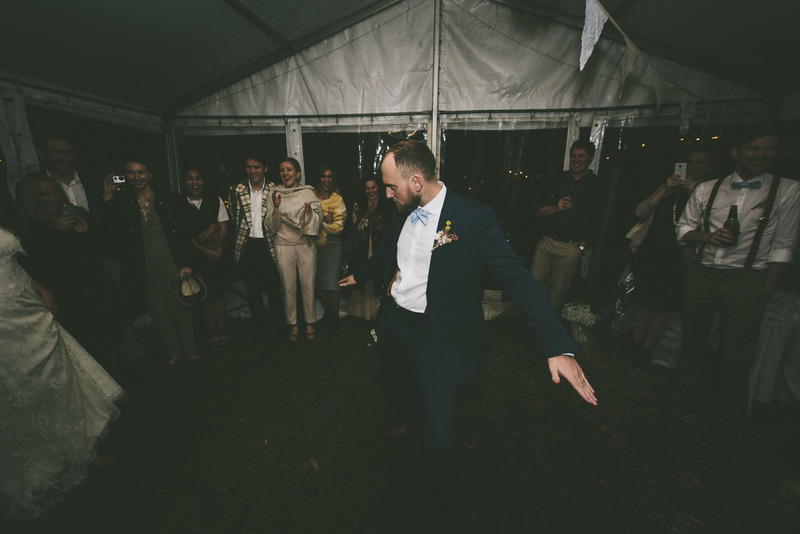 Pats Speech was rudely interrupted by a downpour of rain, so after a quick relocation, the formalities continued before dance floor really kicked into gear. 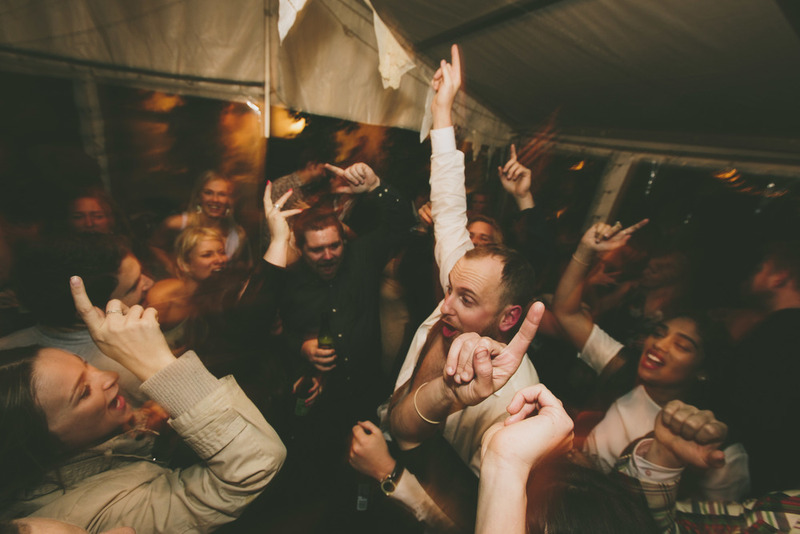 The classics played, the hips swayed and the feet didnt stop. 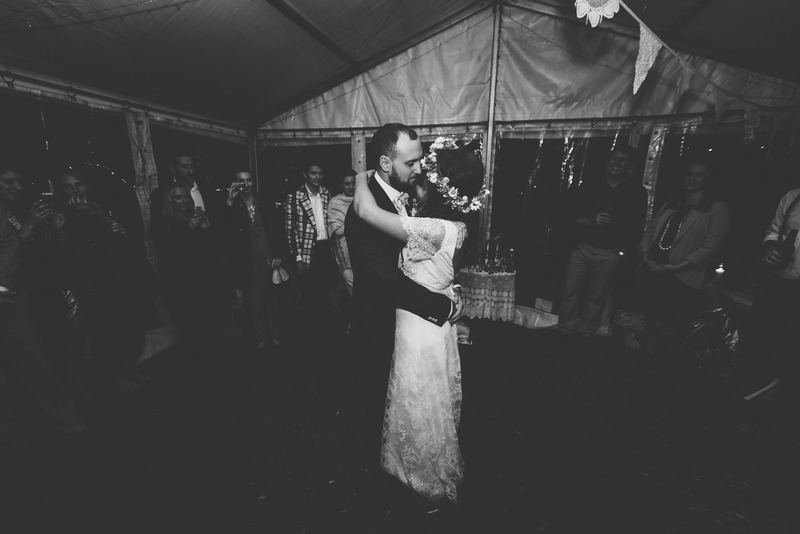 So much so that the dance floor was pretty much mud by the end of the night. 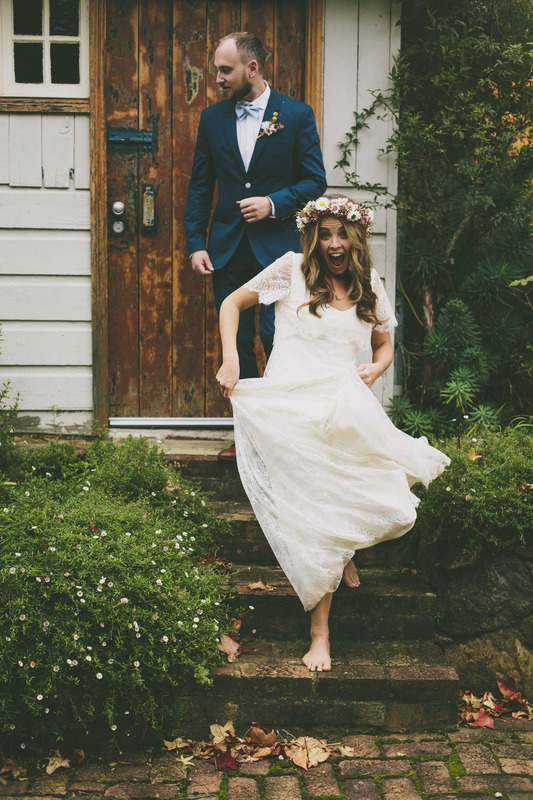 I couldn't wipe the smile off my face and I was only the photographer. 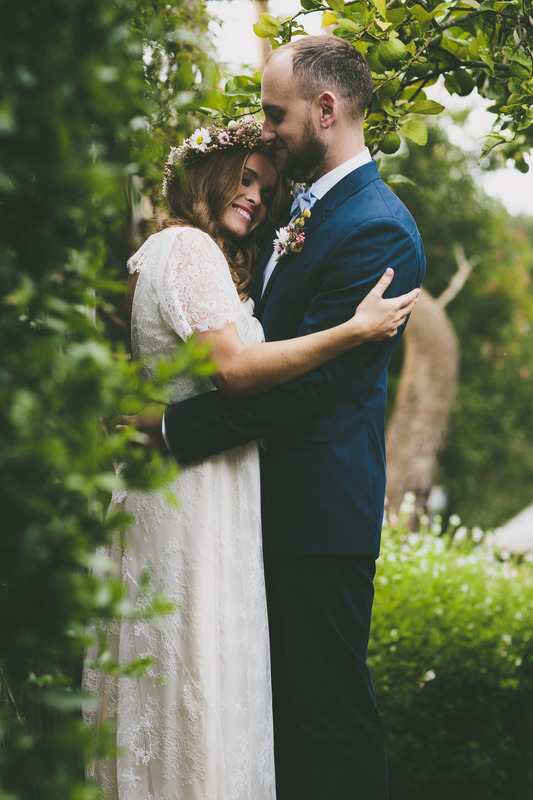 Congrats Maddy and Pat. 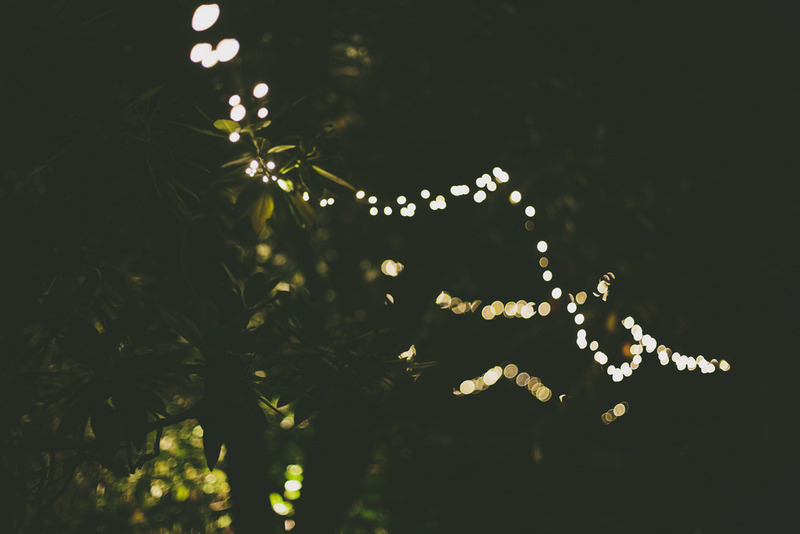 Cheers for an incredibly fun day and best wishes!